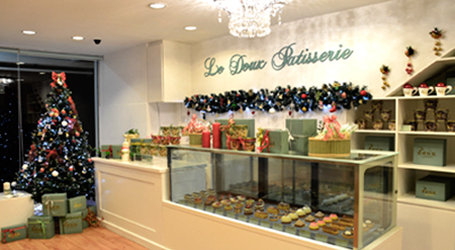 Le Doux Patisserie is an authentic French patisserie with complete Halal certification. We delightfully bring to Brunei a little slice of France with our selection of freshly baked pastries, cakes and patisserie - all hand finished to perfection and simply bursting with seasonal flavour. All Le Doux Patisserie staffs are trained in highly valued “savoir faire” to provide a truly authentic product with a unique quality, a delectably cozy ambience and unparalleled special treatment to all our customers alike. In our shop we offer the finest selection of savouries, patisserie and special occasion cakes created by our skilled patissiers. 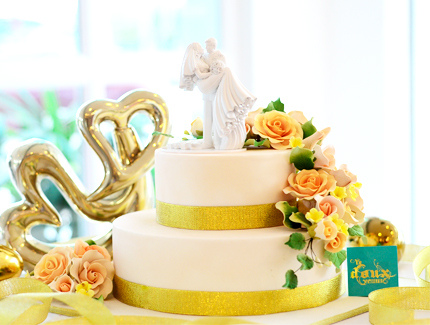 We specialized in making authentic petite gateau or small cakes, cheesecakes, French traditional biscuits or macarons, palmiers and other kinds of cookies, tarts and made to order wedding cakes. Our patisserie is a perfect treat for any occasion be it a special celebration, casual get together, private parties and meetings, or even as a dinner party gift. Most of our ingredients are imported abroad. 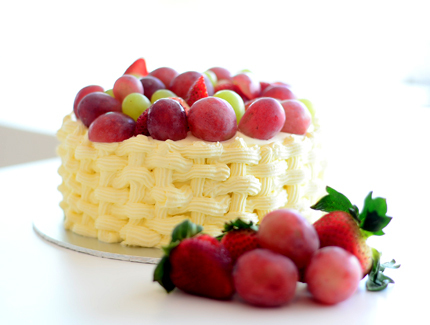 We make sure to use the freshest fruits, 100% pure milk and butter and other Halal-certified quality ingredients. We pride ourselves with products that are baked daily in our own premises. 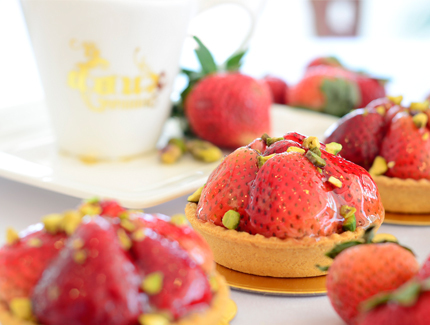 Le Doux Patisserie brings the authentic taste of real French baking to the local Brunei customers. We are dedicated to share our passion for food with our customers who value distinct taste. 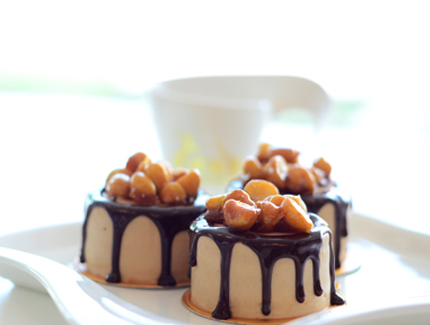 Petite Gateau Come and enjoy our seasonal and flavorful small cakes that will surely make your hearts delight! Cheesecakes Cheesecakes are the ultimate indulgence – silky smooth and richer than a room full of millionaires! Macarons Almond meringue delicately crunchy on the outside, while moist, chewy and flavorful on the inside. Cookies Crunchy, cheesy, nutty or gooey! 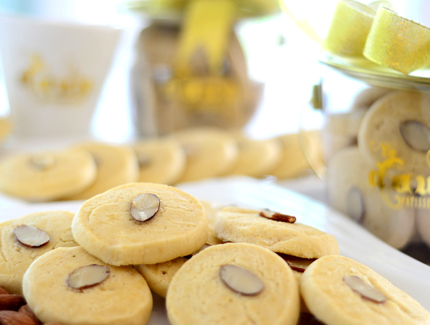 From the absolute simplicity of an elegant shortbread to the show-topping harlequins, there’s a cookie for any occasions. Tarts Who can resist the enticing fluted edged sweet pastry crust, a luscious pastry cream, and glistening rows of fresh fruit? Help yourself and indulge with the variety of tarts that we offer. Cup Cakes All of our cupcakes are made with fresh ingredients and contain no additives. We use the finest ingredients like pure vanilla, sweet rich butter and fresh eggs. 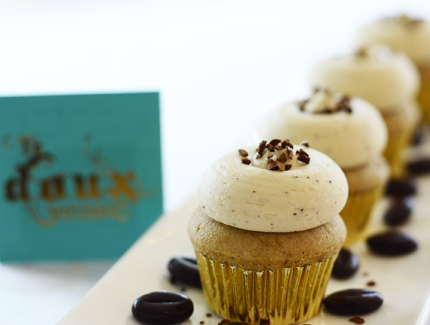 Our moist, rich swiss butter cream toppings will melt in your mouth. Celebration Cakes Cakes are a celebration, but do you even need an occasion or perhaps not, but a great cake is always the grand finale at any party. Wedding Cakes Make your wedding day the grandest celebration of your life with our hand-made cakes that will surely be as memorable as saying "I Do". “La Patisserie”, in French means pastry shop. 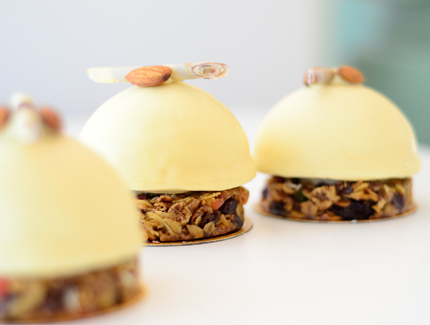 We specialize in French baked patisserie products. Le Doux Patisserie’s philosophy and strength lies in dedication of all our staff and unrivalled expertise of our patissiers. 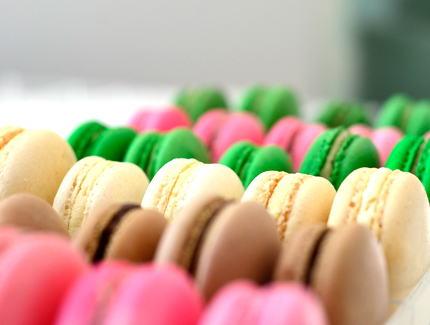 Our qualified pastry chef is highly trained in French authentic baking. We make sure that all our products are specially baked with high quality and halal certified ingredients. We at Le Doux Patisserie commemorates Christmas as a special time to enjoy with family, friends and loved ones. We bring to Brunei a touch of our Christmas spirit by making special holiday treats such as Christmas cakes, holiday palmiers and cookies, fruit cakes, tarts - all are specially made as gifts or just for everyone to enjoy. Visit our shop to see our Christmas-themed ambience to enjoy our patisserie products this holiday season even more!